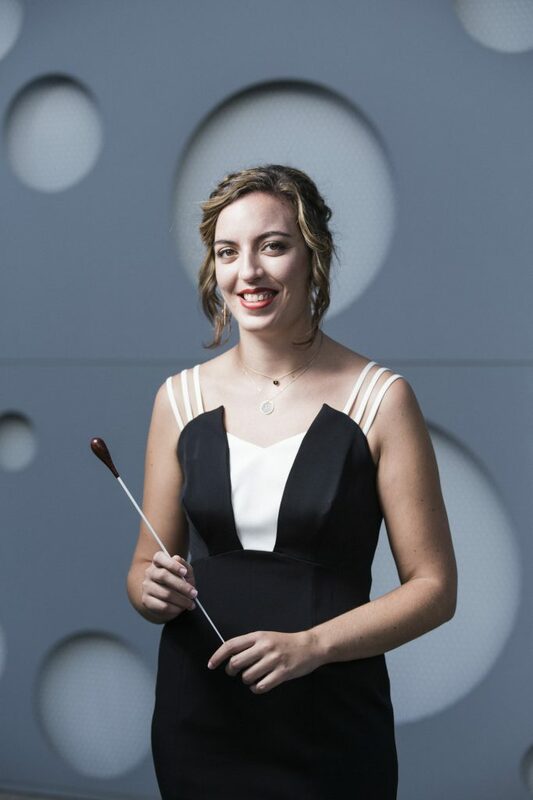 After finishing her studies of french horn at the Real Conservatorio Superior de Música in Madrid, she obtained her degree in orchestral conducting, being selected as assistant director of her maestro, Mr. Andrés Zarzo, during an academic course with the orchestra of the conservatory. She has also studied with other maestros such as Enrique García Asensio, Bruno Aprea, Martín Rodríguez Peris, Cristóbal Soler and Miguel Romea, among others. She currently studies and is the assistant of maestro Óliver Díaz, musical director of the Teatro de la Zarzuela in Madrid. Nowadays she is the principal guest conductor of the Barbieri Symphony Orchestra, and former principal conductor of the Orquesta Madrid Sinfónica. She has conducted orchestras such as the Bilbao Symphony Orchestra, Varna Symphony Orchestra and the Young National Orchestra of Spain, debuting in the Teatro Real and the Teatro de la Zarzuela in Madrid, the Teatro Victoria Eugenia in San Sebastián and the Teatro Calderón in Valladolid, and in concert halls such as the Teatro Monumental in Madrid or the Auditorio Nacional de España. She has also conducted several opera titles, most recently “La Traviata” and “Orfeo y Eurídice”. Among her next projects is his debut with the Oviedo Filarmonía Orchestra. As assistant to maestro Díaz she has worked in different lyrical productions, highlighting “El Gato Montés” at the Palau de les Arts in Valencia, where she he also conducted the internal band (she repeated her assistant conductor role with maestro Ramón Tebar at the Teatro de la Zarzuela in Madrid), “Las Golondrinas” and “El Cantor de México” at the Teatro de la Zarzuela, “Rigoletto” at the Baluarte Auditorium of Pamplona, “Luisa Fernanda” at the Veranos de la Villa Festival in Madrid and “Nabucco” at the Principal Theater of Palma de Mallorca. She has also participated as music producer in Naxo’s CD recording of “Guitar Concertos” with the Real Filarmonía of Galicia Orchestra and the guitarist Miguel Trápaga. She is the music director and founder of the Sinan Kay Choir, winner of the 2nd Prize in the “3rd National Contest of Children’s Choirs ACM” and the Choir Anya Amara, with which she regularly participates in symphonic programs and lyrical productions. 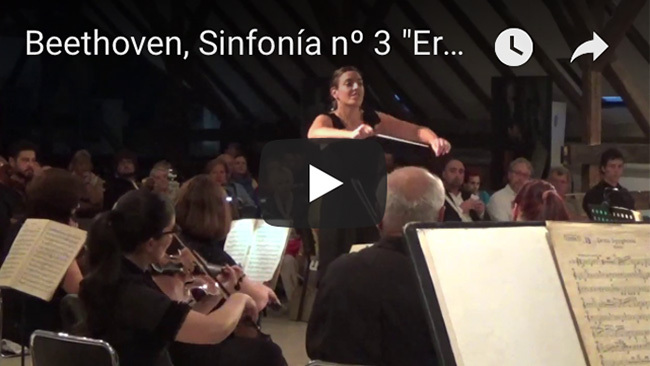 She taught orchestra conducting at the Conservatorio Superior de Música de Malaga and has been part of the faculty of the Conservatorio Manuel de Falla of Alcorcón. Since its constitution, she has been a member of the board of AESDO (Spanish Association of Orchestra Directors), which was born as a meeting point between the consecrated and young directors, and participates as a speaker in talks related to their profession.